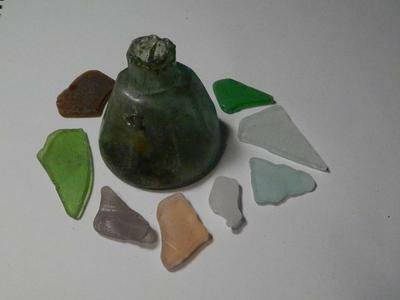 This is a photo of all the beach glass and beach combing related objects that we found this season. 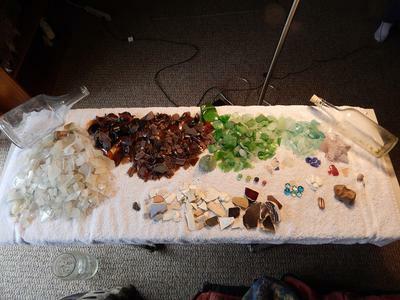 My wife and I just began beach glass picking in July of this year and it seems we have had a fantastic first season. We finished the season with well over 1000 pieces of glass. Some very sharp and quite new and many well frosted and rounded. We found one light orange, a couple red, a few cobalt blue, a good bit of lavender, and a lot of light blues, greens, browns and whites/clear. 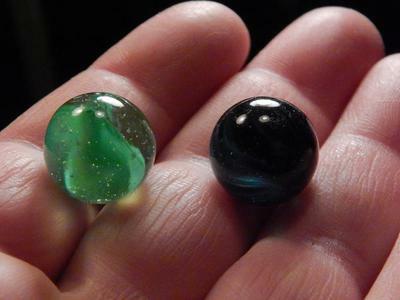 We found 4 marbles, 2 whole bottles that are without a scratch,and an inkwell from the early to mid 1800s. 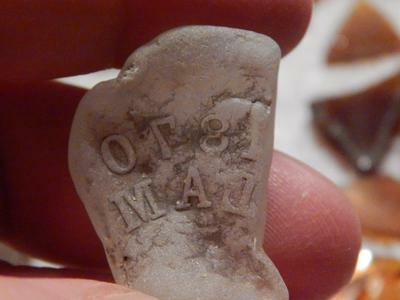 We also found a decent amount of ceramic, as well as a prehistoric tooth.We searched on the beaches of the Great Lakes, as well as many in land lakes. Our best day of the season just happened to be our last day of picking, when we managed to find over 300 pieces of glass, including two marbles from the same lake, but 5 miles apart. So, all in all it has been a great first season. Now it's just a matter of waiting for old man winter to leave and let the lakes thaw so we can get back at it.